Confronting the myth with the reality. Who Is Nadhmi Auchi and What’s His Tie to Obama? You probably would have heard of Nadhmi Auchi by now if Sen. Barack Obama were a Republican. A British citizen of Iraqi descent, Mr. Auchi, 70, is a billionaire, the 279th richest man in the world, according to a Forbes magazine survey last year. Come on guys; I answered like eight questions. We’re running late. Those were Obama’s words as he curtly walked out on a press conference earlier today, a sign of the continuing deterioration of the relationship between Obama and the press. 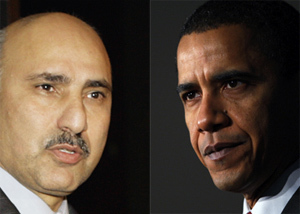 As the Rezko trial begins and more and more evidence mounts that Obama has been rather untruthful (shocking!) with the press about his relationship with Rezko. 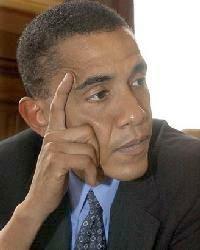 Maybe Obama should stop calling women sweetie…. church shady houston on Obama the Screamer.